With the connection of voice and data networking, InformAbility is in a strong position to integrate telephone and voice services for our data networking and IT consulting customers. InformAbility will support all your phone and voice needs, because we want to make it easy for you. Above all, you will receive an uncompromised phone system experience for your business and the most competitive costs possible. Changing phone numbers can often be a big hassle. Because we don't want your new phone service to be a bother, we can port your existing numbers so you can keep the same lines for you or your business. Hosted voice services means that we set up a dedicated PBX specifically tailored to the needs of your organization in a datacenter backed by Amazon’s Elastic Compute Cloud (EC2). This IP PBX would be a full service phone system, that is web managed, providing all the top features such as night mode, auto attendant, voice mail, ring groups, simul-ring, find me follow me, queues, hot desking, and more. 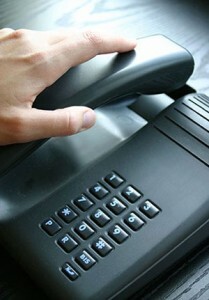 In brief, SIP is the technology that allows you to make phone calls using computer networks and/or the internet. Because the phone service uses the existing hardware, it can dramatically lower your costs and also simplify your phone system management.